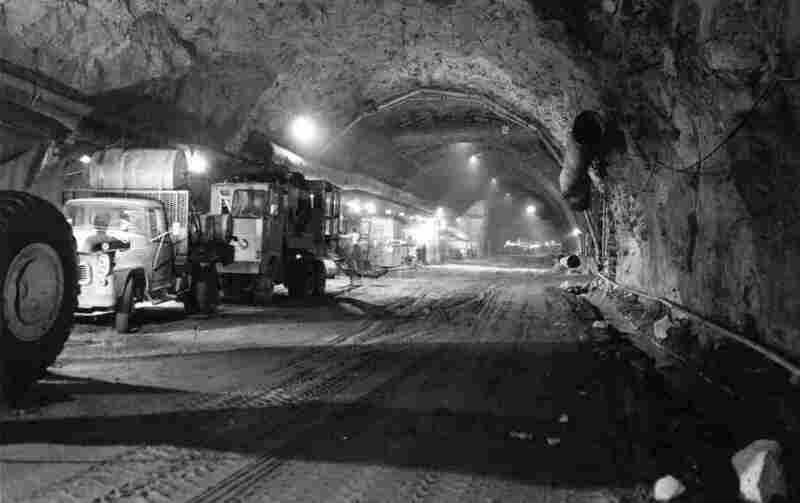 The Cheyenne Mountain Complex was completed in the mid-1960s. The tunnels extend thousands of feet into Cheyenne Mountain in Colorado Springs, Colo.
Several years ago, when Garrett Graff was working at Washingtonian magazine, a coworker brought him a lost ID badge that he'd found on the floor of a parking garage. "It was a government ID for someone from the intelligence community, and he gave it to me since I write about that subject, and he's like, "I figure you can get this back to this guy,' " Graff recalls. Above are the plans for Congress' nuclear bunker in Greenbrier, West Va. There were driving directions on the back of the ID, so Graff looked it up on Google Maps, and it led him to West Virginia. "The road dead ends into the side of a mountain," he says, "And you can see very clearly these big concrete bunker doors — this little guard shack, chain-link fence, and then this set of concrete bunker doors beyond." 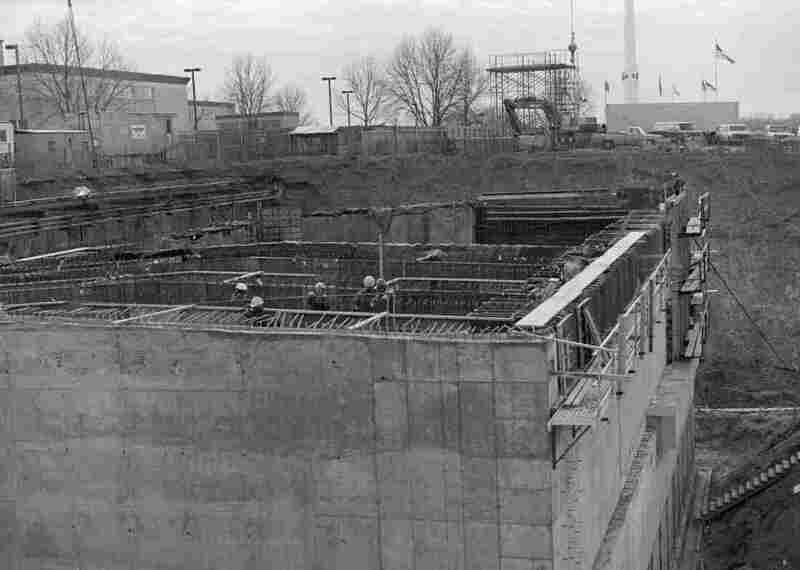 Graff had stumbled onto one of the government bunkers designed to protect U.S. leaders in the event of a nuclear, chemical or biological weapon attack — most of which were built at the outset of the atomic age and throughout the Cold War. "It was a facility that I had never heard of, that wasn't on any map ..." Graff says. "It just made me so curious to go back and understand what the history of these plans were, and what they are in modern times as well." 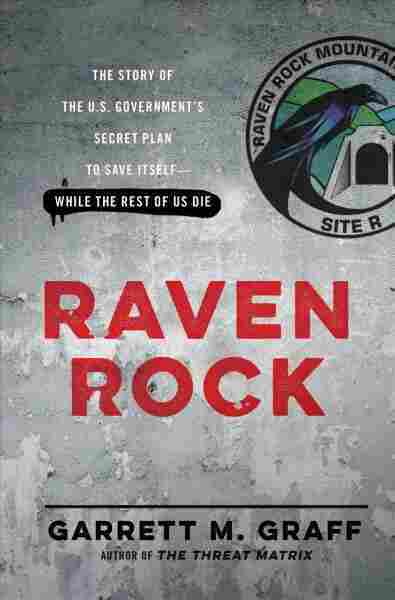 The result of that curiosity is Graff's new book Raven Rock: The Story of the U.S. Government's Secret Plan to Save Itself – While the Rest of Us Die. 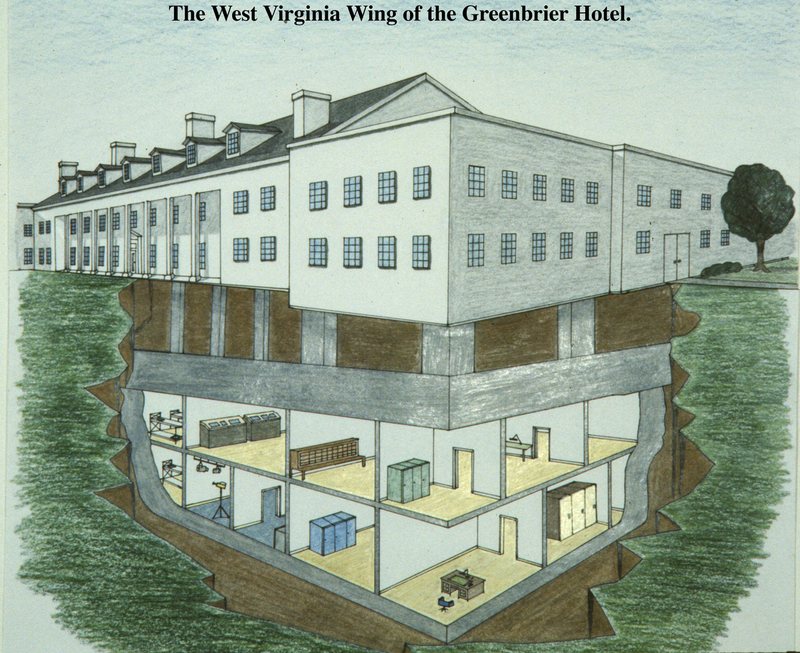 Based in part on recently declassified documents, it describes the bunkers designed to protect government leaders, lines of succession to replace officials who are killed, and the roles for various agencies in the event of catastrophe. "Part of what makes these plans so interesting is thinking through ... this idea of what you're going to save for America," Graff explains. "If you're trying to preserve and restart the government after an attack, [it] becomes this very existential question about what is America? Are you trying to preserve the presidency? Are you preserving the three branches of government? Or are you preserving even the historical totems that have bound us together across generations as Americans?" On the Raven Rock Bunker just outside of Waynesboro, Penn. It's a bunker that dates back to the late 1940s, right at the beginning of the atomic age, as the government began to think about what it was going to mean to build evacuation facilities, in case something happened to Washington. It's a free-standing city ... built inside of this mountain. It has everything that a small city would — there's a fire department there, there's a police department, medical facilities, dining halls. Raven Rock is this massive, hollowed-out mountain. It's a free-standing city ... with individual buildings, three-story buildings, built inside of this mountain. It has everything that a small city would — there's a fire department there, there's a police department, medical facilities, dining halls. The dining facility serves four meals a day, it's a 24 hour facility, and it was sort of mothballed to a certain extent during the 1990s as the Cold War ended and then was restarted in a hurry after Sept. 11 and has been pretty dramatically expanded over the last 15 years, and today could hold as many as 5,000 people in the event of an emergency. The post office was the agency that would've been in charge of registering the dead and figuring out who was still alive. In part, because the post office knows where people live, they understand who was left. So you would arrive in the refugee camps, after your cities had been destroyed, and you would've been handed Form 801 from the post office, which were pre-printed in millions and millions of quantities and located in post offices around the country through the Cold War in the event of an emergency. And you would've filled it out with your name and family members that survived with you at the camp, and then the post office would've sorted through these cards and figured out who was still alive and where everyone was to begin the process of reuniting families. The Parks Service, for instance, would've been the agency that would've actually been running, in many cases, the refugee camps, because the thinking was that park service land would be largely untouched by nuclear war. [The Dept. of Agriculture] worked for years with Nabisco to come up with this special survival biscuit. ... They pre-made about 160 million tons of this Nabisco survival wafer that were manufactured and boxed up in tins and then hidden away in government fallout shelters around the country. This was a whole strange, shadow post-apocalypse government that existed just out of sight through the Cold War. A large portion of that money was hidden away in $2 bills because in the 1970s when the government first introduced the $2 bill and discovered that Americans didn't want to use them, they didn't want to pulp and waste the money. So they just shrink-wrapped all the $2 bills and hid them away in a government bunker, figuring that after nuclear war, people wouldn't have that much of a choice about what type of currency they wanted to use anymore. The National Archives sat down and decided that they would have, in the event of a nuclear attack, they would save the Declaration of Independence before they saved the Constitution. The Library of Congress sat down and they ranked their collection and decided that they would save the Gettysburg Address before they saved George Washington's Military Commission. ... Through the Cold War there was even a specially trained team of park rangers in Philadelphia whose job it was to evacuate the Liberty Bell in the event of a Soviet threat. We think of the presidency as just the person who we elect every four years. ... The presidency today, the post-Cold War presidency, is actually this entity of several hundred individuals where you have the people who are in the line of succession as outlined by the 25th Amendment: the president, the vice president, the speaker of the house, the president pro tempore of the Senate, and then all of the cabinet officials. But then each of those cabinet officials also has their own line of succession, which can be 15 or 20 people long. In most cases [it] includes officials who are outside of Washington so that if something happens to the Capitol you have a set of people and a set of leaders who could reassemble government from outside of Washington. But you end up with this very obscure set of people that would really surprise most of us who were left standing after an attack. One military aide compared it to a Denny's menu. You can go through and point at different pictures and that's the type of nuclear war you would order. The military aide would come up and hand these binders to the president. The president carries with him a little sealed index card that he would break open that's designed by the NSA, and that card and the codes that are in it would identify him to the military command structure as the president. And then, from there, he would be able to launch nuclear war whenever he was. The way that these procedures have evolved over the years is to remove any middlemen that could slow the process down, because the decision-making window would be so short as it is. The president might only have 8 to 10 to 12 minutes to make a decision about launching a nuclear weapon. There wouldn't be any time to double check with someone else, so we have very carefully crafted a system that ensures that there's nothing that slows down a presidential launch order. Those plans were always predicated upon the idea that the person giving the launch order is the most thoughtful, most intelligent, most sober-minded individual that you could possibly imagine atop the nuclear command and control system. 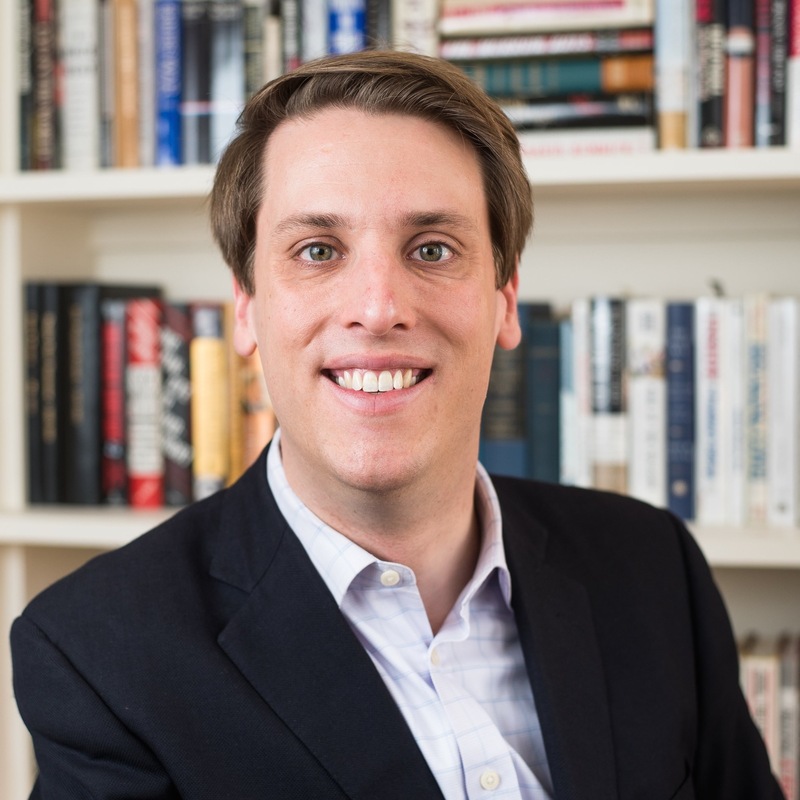 Garrett Graff is also the author of Threat Matrix: Inside Robert Muller's FBI and the War on Global Terror and formerly the editor of Washingtonian and Politico. On the subtitle of the book: "The Story of the U.S. Government's Secret Plan to Save Itself--While the Rest of Us Die"
These plans start out in the 1940s and 1950s with the grandest of hopes and ambitions — the idea that we'll be able to evacuate all of our urban centers, that nuclear war could be survivable with a little bit of warning. Then we watch over the course of the Cold War as the weapons get faster, we go from bombers to missiles, and then they get stronger. We go from nuclear bombs, atomic bombs, to thermonuclear bombs, to hydrogen bombs. And then we also see the arsenals expand. They go from a few dozen or a few score bombs to the tens of thousands of weapons that we had by the end of the Cold War, and that combination of stronger, faster, more numerous weapons means that the government's ambitions shrunk over the course of the Cold War, until they effectively are what they are today, which is: The civilian population will be left to itself for weeks or months at a time, and a small number of senior government officials will be spirited out to these bunkers with the hope that within months or a few years they're able to reconstitute something that resembles the United States again. Radio producers Sam Briger and Mooj Zadie and Web producers Molly Seavy-Nesper and Beth Novey contributed to this story.